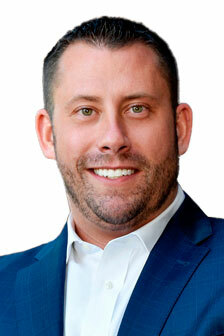 Originally from Atlanta, Brian Loebker relocated to the Sarasota area in 2007, where he specializes in assisting residential home buyers and sellers. An accomplished real estate professional, in 2013 Brian successfully closed more transactions than any other agent in the Siesta Key office. Brian served in the United States Marine Corps from 2002-2004 before entering the real estate industry in propert... more.y management. In this role, he traveled across the southeast training and troubleshooting AAA-class apartment communities consisting of 200 units and greater. His proven professionalism and results-oriented style of service garnered recognition from the Tri-City Apartment Association/Chapter of Florida Apartment Association, earning him the 2008 Leasing Professional of the Year award. This prestigious honor is bestowed upon those who exhibit exceptional leasing and marketing proficiency throughout the SW Florida apartment industry. Brian is an avid outdoorsman and an active participant with the Wounded Warrior Project. ...less.